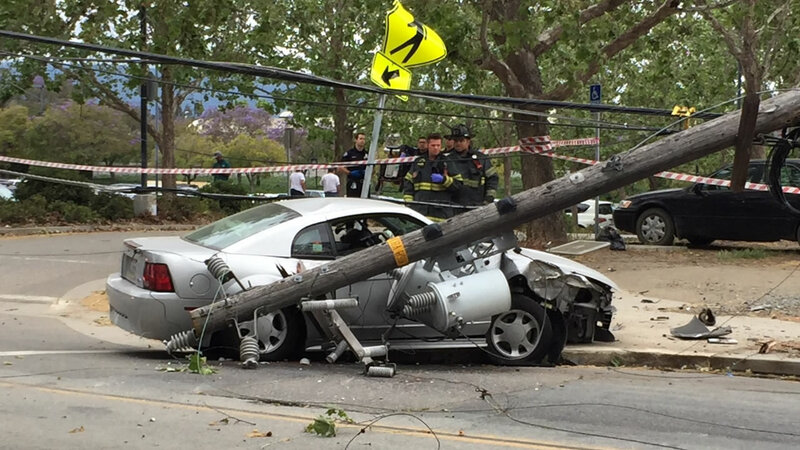 SAN JOSE, Calif. (KGO) -- A woman in San Jose was rescued from her car after she hit a power pole and live wires fell around her. The incident occurred at around 5 p.m. on Lick Avenue at West Humboldt Street. Crews had to wait for PG&E to cut power to those lines before they went in to get her out.